Special Constables have a growing influence on policing in communities across Devon and Cornwall. Register your interest in joining Devon and Cornwall Police as Special Constable by completing the Special Constable Registration and Eligibility Form and email it to special constable recruitment. Devon and Cornwall Police is committed to fairness towards all members of the community. We need people with a range of skills and experiences from a mixture of backgrounds to help us deliver excellence in local policing across Devon, Cornwall and the Isles of Scilly. At this time, women and people from ethnic minority groups are currently under represented in Devon and Cornwall Police Special Constabulary. We would especially welcome applications from these people. Can you offer at least 16 hours a month, undertake professional training, and be a role model for your community? 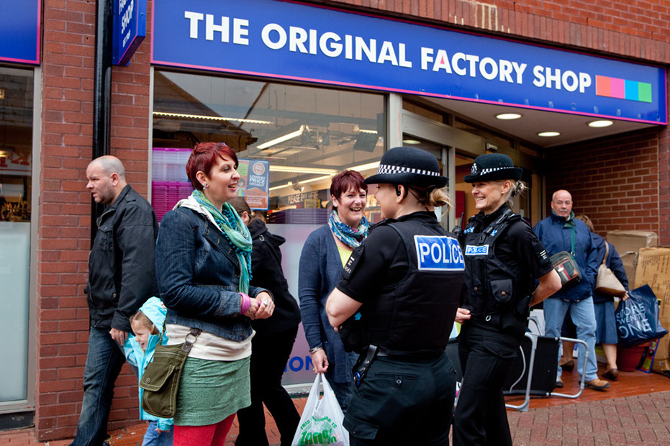 Are you ready to accept the challenge and become a Special Constable? Then why not join us? We want people who will provide an outstanding service to our communities; somebody with integrity and the values to hold a position of trust and responsibility. You need to care about making a difference, enjoy helping people, and want to actively engage in partnership with others, understanding their needs, whatever their background or situation. We want someone, who is both professional and friendly, who can build relationships with their colleagues and their communities. You need to be enthusiastic, reliable, self-disciplined, flexible and confident enough to take control of situations. We want people who take pride in their work and who will be proud to say they are a special constable. Devon and Cornwall Police is committed to fairness towards all members of the community. We need people with a range of skills and experiences from a mixture of backgrounds to help us deliver excellence in local policing across Devon, Cornwall and the Isles of Scilly. We welcome and encourage applications from all of the diverse groups from within our communities. Before applying please read Special Constable Recruitment - Advice for Applicants carefully and make sure you meet all the essential criteria set out. If you do not meet the criteria then regrettably you will not be considered for the role of Special Constable on this occasion. Application forms will be emailed to applicants who met the eligibility criteria so please monitor your inbox and spam folders. Completed applications will be held for inclusion in future campaigns. Interview and fitness dates will be communicated when required.